Picture this… It’s Monday morning, a new week and you are rearing to GO! You can feel it in your bones, this week is just going to BE a success! Friday’s coffee cup just can’t wait to say hello with its signature dark ring around the inside – you know, because your coffee – black brewed, dark roast medium ground Arabica beans, medium strong, no sugar, no milk! The washrooms? Let’s not paint that picture because the stench alone is enough to make your stomach turn… Not to mention your lovely receptionist already buzzed to let you know your clients are already in the building. A clean, tidy and well-kept office does more good to your organization than you care to admit and you know you are tired of having to manage these kinds of services. This is not your core business. This is NOT what you signed up for. Your core work is suffering at the expense of having to manage the non-core BUT very essential services. If this is you, this blog is dedicated wholeheartedly to you and the rest of the people who think they are saving a shilling or two by managing these services in-house. Most organizations shy away from investing in professional cleaning services based on the cost not considering the indirect return on investment that we shall proceed to discuss. Often and we pray that this is every day, your office will have clients dropping by, friends of employees (hopefully not as we need those billable hours covered with actual work) and/or other new faces. These people will come and probably stay a few minutes and within those few minutes they will already have formed an opinion about your organization based on their first impressions of the immediate surroundings. For example if the trash bins are overflowing with paper or the window blinds/curtains are not drawn it will indicate a sense of negligence or laziness. These impressions are then passed to others who may want to do business with your brand. Sometimes this may be assumed as an oversight the long term effects far outweigh you simply dialing up the people who were born to do this, born to make sure your work spaces are spotlessly clean before you set foot into your office and clean up long after you leave – leaving you a fresh slate to work in tomorrow. Just like Santa’s elves, we work quietly and meticulously paying attention to detail to those less than glorious tasks that ensure your productivity is at its peak, restoring your crowning glory! Imagine walking to the office and your keypad is dusty, no toilet paper in the washroom, overflowing trash bin… just what does that do in spurring your to be your best that day? A clean office goes a long way in motivating employees creatively and ultimately translating to the company’s bottom-line. It ensures the staff are not distracted and remain focused on their day’s tasks. In order to ensure that your staff productivity levels are at their optimum, take this little headache out of their way please? You more likely to catch a flu or bacterial infection from work than your home. Why? 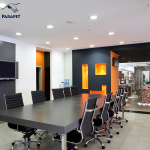 Aside from the fact that we spend most of our waking moments on the job or in traffic, your office is a public space and it is never guaranteed that your colleagues will all observe high levels of hygiene. Physical contact with things in the office touched by everyone for example door knobs or biometric machines may cause the transmission or development of health complication. Next time you look at your extension receiver, ask yourself, who has been on this? Has it been sanitized? Door knobs? Is our working environment clean and rid of elements that would catapult infection? 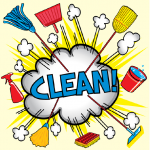 I don’t know about you but the fact that I can have someone else do the work that’s not on my JD and have me concentrate on my organizations bottom-line just cleaning work gives you and your staff peace of mind. Not to mention the HR payroll nightmare at the end of the month in determining who is on contract and who isn’t; who’s not well and cannot come in today tantamount to having a whole floor not cleaned; terminal dues, leave allowances, name it! Knowing that you are creating a safe, organized and welcoming working environment means that everyone can get on with their tasks without the burden of having to ensure the office is kept clean. Doing this also reduces potential stress in having to assign cleaning tasks to employees or tension between employees who may deem others as not ‘pulling their weight’ when it comes to keeping the office tidy. We come in to take care of the essential but non-core activities so you can give your business 100% productivity. Hiring a reputable professional office cleaning services means you can expect the highest standards of cleaning. Cleaning staff who are given expert training and have proper experience will know how to make sure your office is not just surface cleaned but cleaned deeply and thoroughly whilst maintaining your assets by using the best environmentally friendly detergents and innovative tools not to mentioned an empowered workforce! Still NOT convinced you tough cookie? Call us up, and we’ll have a free, non-committal, chat on how we can significantly improve your output by having us do the dirty work for you! Coffee’s on you first time around though.